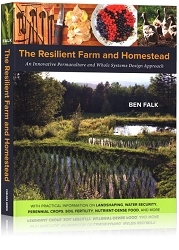 Food security in your window. The Heirloom Organics Home MicroGreens Pack contains 8 varieties of highly nutritious microgreen seeds. Microgreens can have up to 40 times more vital nutrients than mature plants and can be grown year round in the country or in the city. Very little space is needed, you can grow these seeds on a windowsill, counter top or bookshelf. 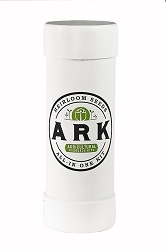 These seeds are chosen by Square Foot Gardening experts for the best results in small-space, low-light gardening. 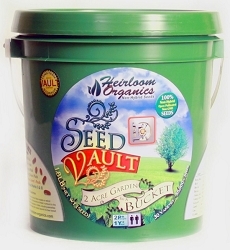 They are 100% non-GMO, non-hybrid, heirloom and are the freshest seeds from this year's harvest. 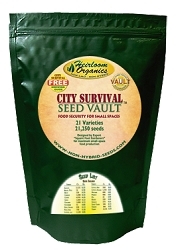 The seeds are prepared with USDA-developed moisture-reduction before hermetically sealing in air-tight, mylar pouches. This pack allows you to gain food independence in about one week. 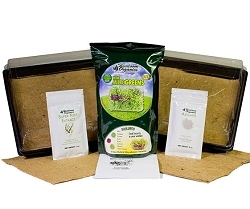 Get everything you need to start growing MicroGeens with the Heirloom Organics Complete MicroGreens Kit.